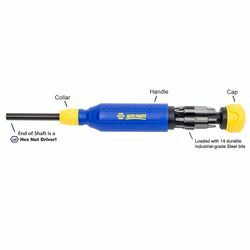 8.5" long. 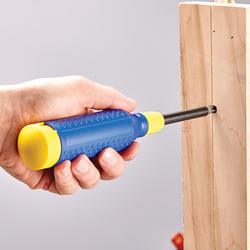 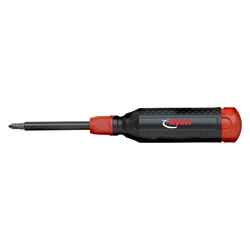 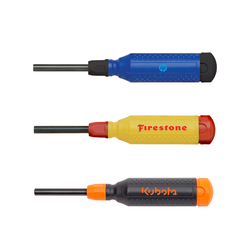 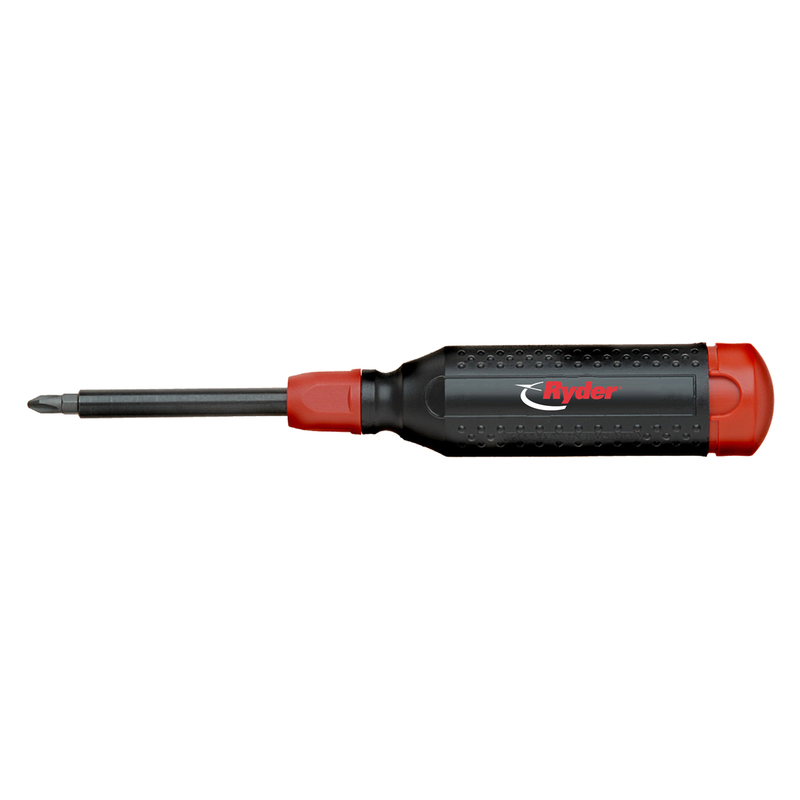 Loaded with 14 durable industrial-grade steel bits at the end of the tool. 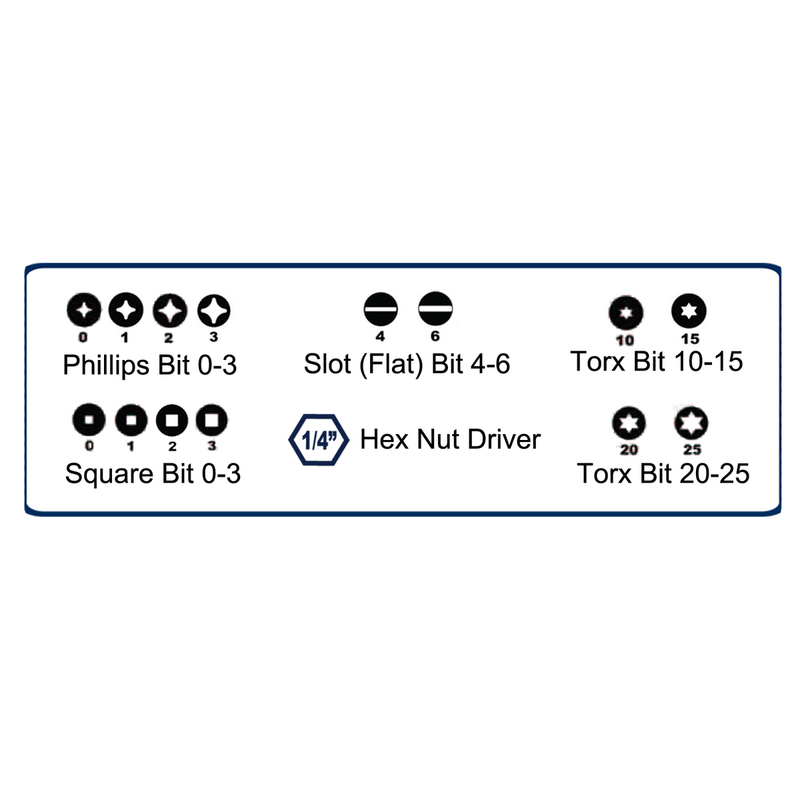 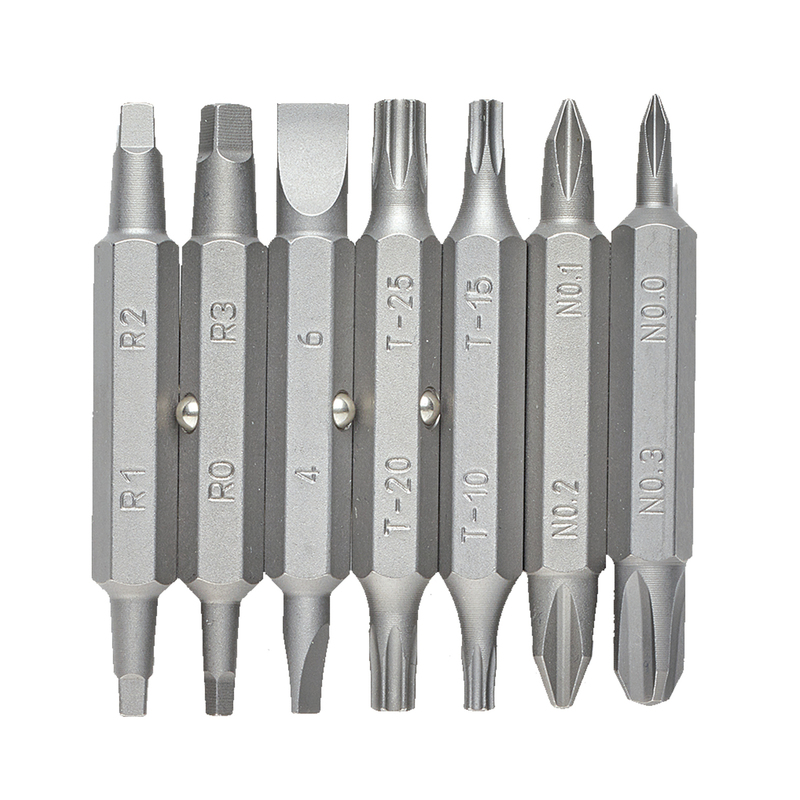 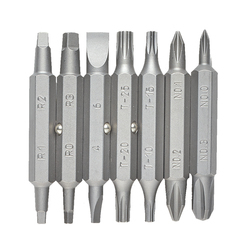 Includes Slot (flat) bit 6, Slot (flat) bit 4, Phillips bit 0, Phillips bit 1, Phillips bit 2, Phillips bit 3, Torx bit 10, Torx bit 15, Torx bit 20, Torx bit 25, Square bit 0, Square bit 1, Square bit 3, Square bit 2, and a Hex Nut Driver at the end of the shaft. 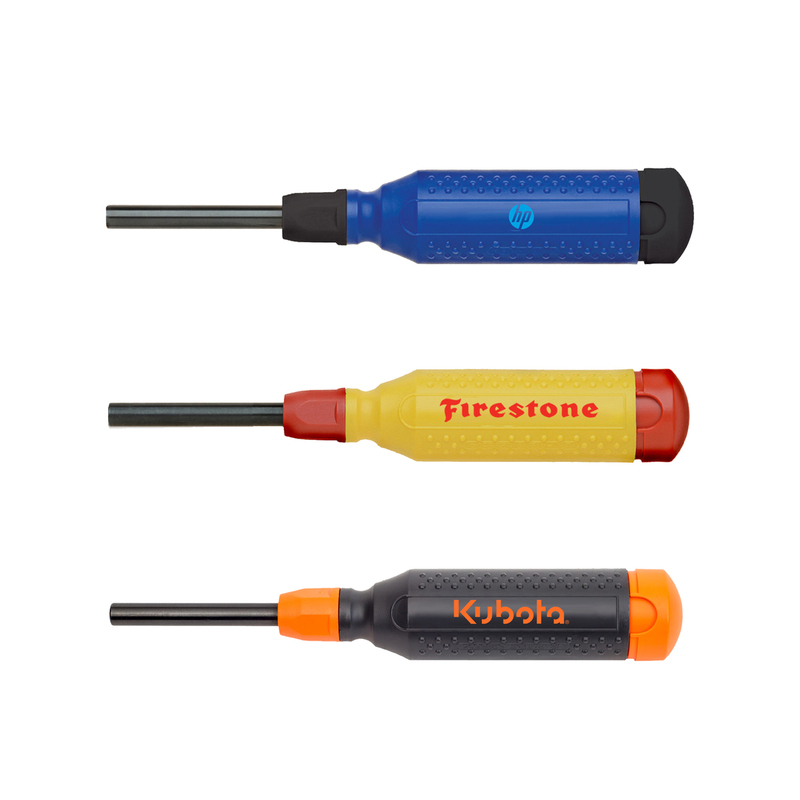 BUILT in the USA. 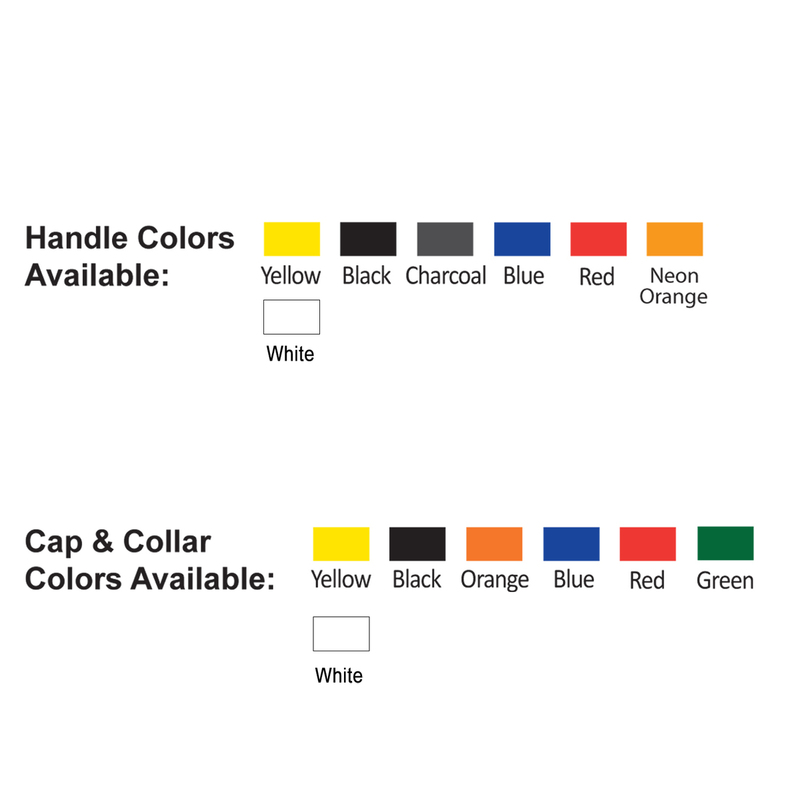 Mix & match the collar, handle, and cap to match your corporate logos!